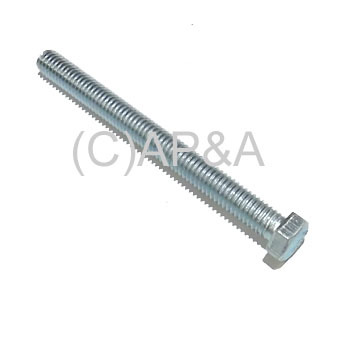 Backbox mounting bolt. 3/8-inch diameter, 16 threads per inch. 4-inch length (threaded portion). Used on Bally and Williams games up through 1986/1987, Gottlieb electro-mechanical (EM) games, and many others.